Kaurab is a Bengali literary magazine published from Jamshedpur, an east-Indian steel town, since 1970. The core members of Kaurab are poets and writers whose work represents an interesting break with earlier traditions of literary writing in Bangla. Kaurab’s entry into the Bangla literary context was at a crucial juncture when mainstream Bangla literature was in the thrall of the social, political and cultural upheavals precipitated by the Naxalite movement. While Kaurab, as a literary group, had a cameraderie with the Hungry and New Generation writers of Bengal, it largely attempted to accentuate a fresh and marginal voice that was unheard in Bangla literature. Being a Bangla literary magazine published from outside of Bengal (from Jamshedpur, Jharkhand, erstwhile Bihar), Kaurab had an outside-in identity, which it shaped and reshaped over the years with much ingenuity. 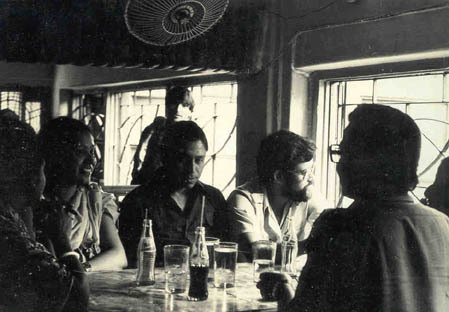 This group of poet/writers, led by Kamal Chakraborty, Swadesh Sen, Barin Ghosal, Debajyoti Dutta and Shankar Lahiri, despite their apparent urbanity, invested deeply in making connections with the emerging industrial culture (Jamshedpur was the hub of industrial activity) of a small town gradually transforming itself into a city, and the surrounding hinterland, rich in adivasi (native tribal) cultural traditions. In fact, their urbanity itself was intricately layered – never quite the Kolkata urban though retaining strong creative links with its literary production, the lived memories of the Tata steel furnaces and the robust energies of changing adivasi languages and cultures. 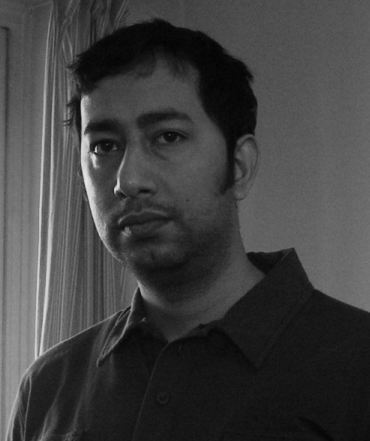 Kaurab's literary work is also marked by a starkly different notion of literary language. Curiously, in both prose and poetry, their use of language gave currency to a ubiquitous urban Bangla tongue of everyday, while it resonated deeply with the changing adivasi (tribal) languages around them. However, this attempt defied all acts of "museumification" of adivasi languages through ways of embodying these others of Bangla literature with new subjectivities. 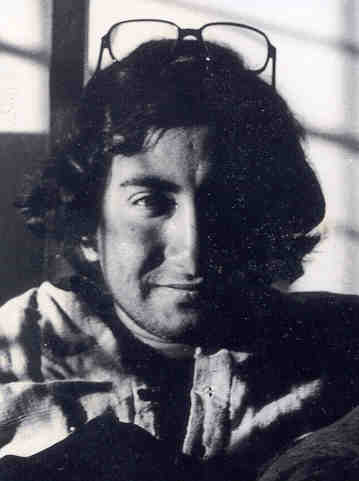 Kaurab also pioneered new methodologies of poetry appreciation in the form of Poetry Camps or workshops, a technique that found many followers in the later years. Kaurab's poetry, often fuelled by rediscoveries of innovative language patterns from the past, went through austere experiments with language, speech and reading. 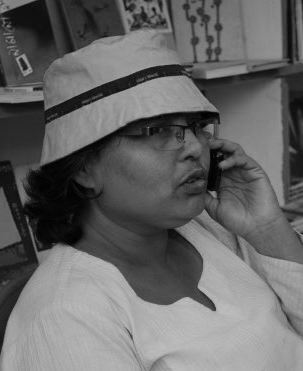 During the 1990s Kaurab almost emerged as a literary cult, influencing several contemporary Bangla little magazines. However, they continued to experiment, to learn, to dream, perhaps of impossible futures. A calibration of Kaurab’s literary journey will reveal the energy and the spirit of Kaurab that has always been spilled over, refused to be contained within the definition of a little magazine, as we know it. 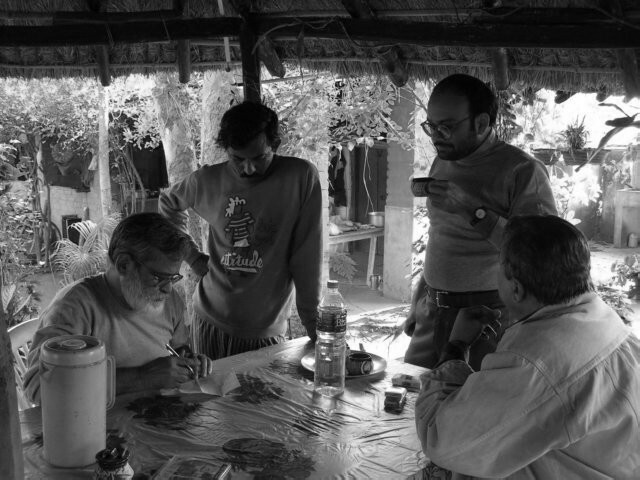 It was a way of life and literary production and, perhaps, the germs of BHALOPAHAR, an eco-community village they'll soon develop, lay there. Swadesh Sen, the seniormost poet of the Kaurab group, has a stellar presence in the Bengali poetry world today. His style stands out singularly distinguished in his generation (1950-60s). Although he has written less and avoided publicity, today his work is able to generate great interest among younger Bengali poets from both India and Bangladesh. Many critics see his work as the origin of what Barin Ghosal calls Natun Kabita (New Poetry). In retrospect, it seems strange that a group that had such diverse people could stick together for so long! Kamal Chakraborty was and continues to be a charismatic visionary, who, as a poet, novelist and a popular prose writer, could simultaneously straddle the mainstream Kolkata-centric Bangla literary circles and the lesser known niches of alternative literature. Kamal's poetry often brought to life the experiences of a small town. In its language, his poetry voiced the richly layered language fabric of tribal Singbhum. "TataBaba", one of his early poems, is a popular adivasi folk song in Singbhum today. His prose, stylistically urban, often constituted "thick descriptions" (as used by Clifford Geertz to describe his method of detailed analysis of an anthropological context by immersing himself in it) of communities and cultures rarely visited in Bangla literature. Kamal was perhaps the first Indian novelist to write about hermaphrodites and transexuals. His novels have dwelt on subjects as fascinating as the environmental crisis ("Brikkhu"), bohemian youth ("Amar Pap"), diary of a little magazine editor ("Prachchhad Kahini") and upper-caste, polygamous Brahmins of ancient Bengal ("Brahman Nabab"), to name a few. He has won several awards as a leading writer of non-mainstream Bangla literature. Kamal has authored more than a score of poetry anthologies and novels, and enjoys the rare distinction of being the first Indian novelist whose work was serialized on the internet. Barin Ghosal, a contemporary of Kamal, is an important writer of his generation. While Kamal straddled two different worlds of Bangla literature, Barin chose to focus on alternative approaches, rigorously experimenting with the structure of the modern Bangla novel, as well as contemporary poetic language. In the early nineties, Barin wrote a series of essays in Kaurab and other magazines, introducing "Extraconsciousness" - a new literary theory that provides a novel semantic-semiotic analysis of poetic language and thought. He spent great energy identifying, analyzing, theorizing concurrent trends in contemporary Bangla poetry. Barin Ghosal has authored more than a dozen books and has been felicitated by several Bengali literary organizations. It is a common sight to see him flocked by gangs of younger poets at poetry festivals and book stops. His poetry is difficult, intellectual and largely respected. His book-length poem "Satkar" (Cremation) is a rare feat in Bengali poetry. Debajyoti Dutta, the eldest and the listless of them all, is a poet who regularly contributed to Kaurab. Yet, he has never published a compilation of his work. Debajyoti, a team man to perfection, threw in enormous efforts, both tenacious, and scholastic, to ensure that Kaurab Patrika does not miss an issue. Along with Kamal Chakraborty, he edited "Poetry from the sixties: A Kaurab Collection". Apparently anti-occidental in its virtues, a metaphysically romantic form of nature quest is an ancient South Asian artistic tradition. Nature or Earth is mother for sure, but often also seen as a lover, wife, daughter, Nartakee (dancer) or a concubine. This romanticism is a recovery process of the bits and pieces of Her in every vestige of life - would remind one of the scattered smithereens of Gauri or Parbati’s body after Shiva’s (Nataraj) grievous dance of destruction. This recovery signs a new beginning, a resurrection of Lover Nature (Gauri or Parbati, Shiva’s wife). Such a romanticism, that probes both inner and outer worlds, characterizes the poetry of Shankar Lahiri. 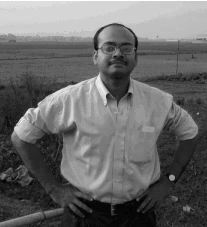 Shankar, although, like Swadesh, Sen wrote less and remained tucked away from the cultural hub of Kolkata, is a rare poet from the 1980s generation, in style, spirit and content. His poetry builds ethereal, invisible bridges between folklore and passenger trains, between another nebula and the dust of here, between astrophysical allure and the down-to-earth reality of a potter’s hands. His poetry is able to rediscover little greenlands and sporty streams hidden away from the bessemer furnaces and slag mounds of an industrial belt. "Mukherjee Kusum" (Mukherjee Flower) is Shankar’s most well known book of poems. Shankar Chakraborty, a 70s poet, a long time friend of Kamal Chakraborty and Barin Ghosal contributed to Kaurab regularly from its early years. Shankar spent a thick chapter of his life in the beautiful north-eastern town of Shillong which has a strong resemblance to English countryside. Shankar Chakraborty has a rich body of work both in quantity and quality that brings out the lyric in mellifluous oriental tunes. His poetry, although deeply lyrical, is characterized by a “search element” and has an unusual visual quality about it. Aryanil Mukherjee (Mukhopadhyay in Bengali script) is the last member of the original core group of Kaurab writers. With him ends an era of Kaurab’s literary history. Part II also begins with him and a younger generation of poets and writers spearheaded by Abhijit Mitra, Sabyasachi Sanyal, Subhro Bandopadhyay, Somnath Sen and Sudeshna Majumdar – the new, second generation editors of Kaurab. Aryanil’s poetry recycles many of the base values of the Kaurab cult and has a unique non-representational quality that emerges from its geo-poetic nature. 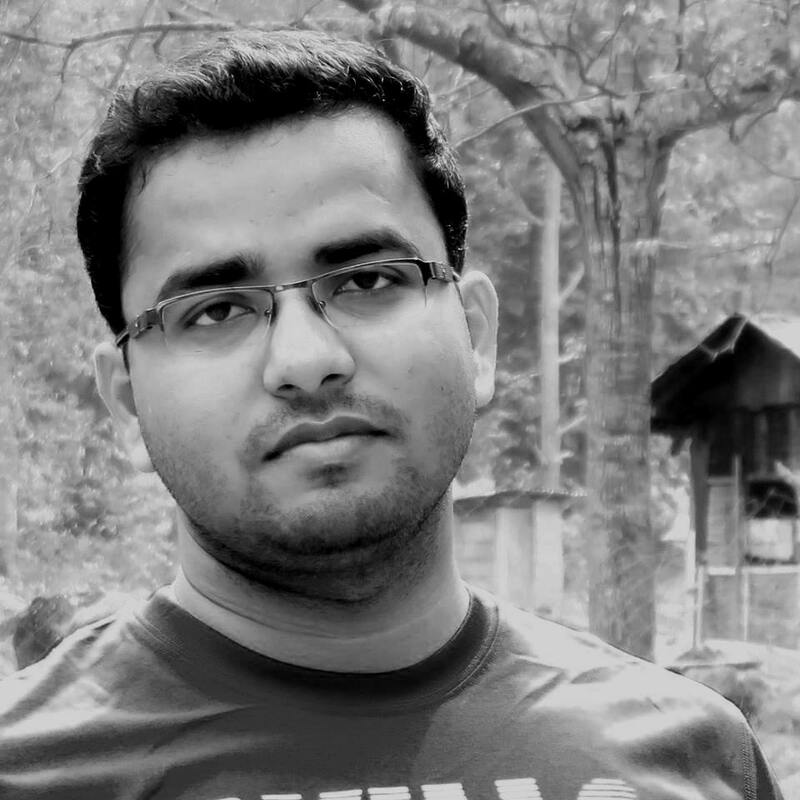 He has perhaps drawn some blood from his two favorites, Swadesh Sen and Binoy Majumdar and his poetry builds on the mathematics (Binoy) and aesthetics (Swadesh) of reason. A critic wrote of "Haowamorager Man" (Weathercock Mind), his second book, "Aryanil’s poetry builds fractals of visuals and reason and creates a rare fragmented beauty". 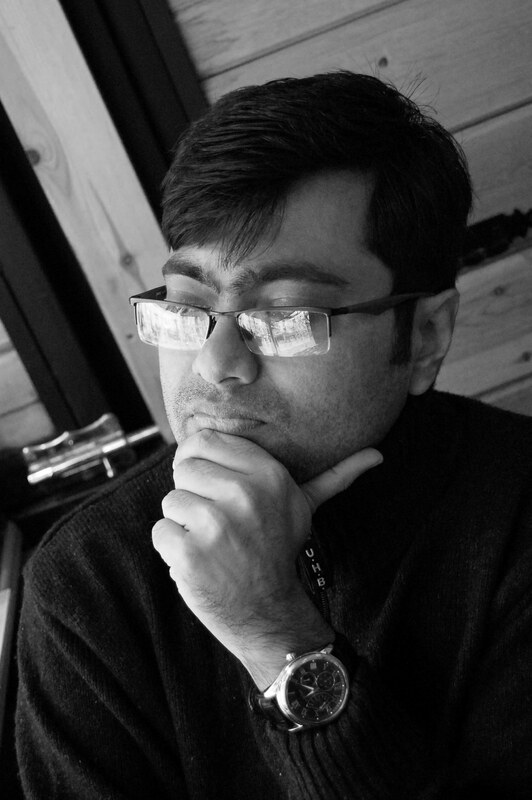 Aryanil emigrated to the US in 1996 and began Kaurab Online – the first Indian poetry webzine. 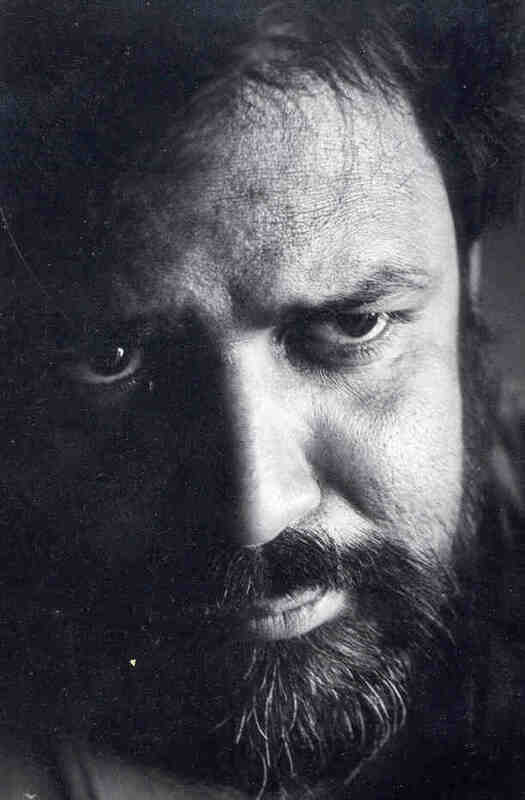 In the new millennium, Kaurab transformed its literary entity from a pathfinding Bengali little magazine to one of international Bengali literature. Experimental and avant-garde Bengali writers (often including bi-lingual writers who wrote in other non-native European languages) from around the world, began to get drawn to the group and its print and electronic publications. In 2007, Kaurab began an International Reading Series that is held once annually in 3 cities (Kolkata, Cincinnati & Madrid) in 3 continents in 3 languages (Bengali, English and Spanish). This group of poets/writers forged a fascinating creative relationship that has remained unchanged through the years and provides a rare instance of Bengali literary magazine history. While many literary magazines came into being and faded around them during four decades, the Kaurab group built and sustained a literary hub that stood out for its risk-taking ability, nurturing of an alternative approach to literature, and especially by its most potent contribution – its editorial culture. Alongside, quite surreptitiously perhaps, grew Bhalopahar (an exact translation would be - “good mountain”). The group used their savings to create a pollution-free, eco-friendly, community-development oriented world and they did not stop there. From Kaurab, a literary magazine, to Bhalopahar, is an amazing journey of a group of people who chose to live life and write about it somewhat differently.